Your baby pink Flower Floppy Hat is adjustable for 2 sizes, interchangable flower colour choice and machine washable. 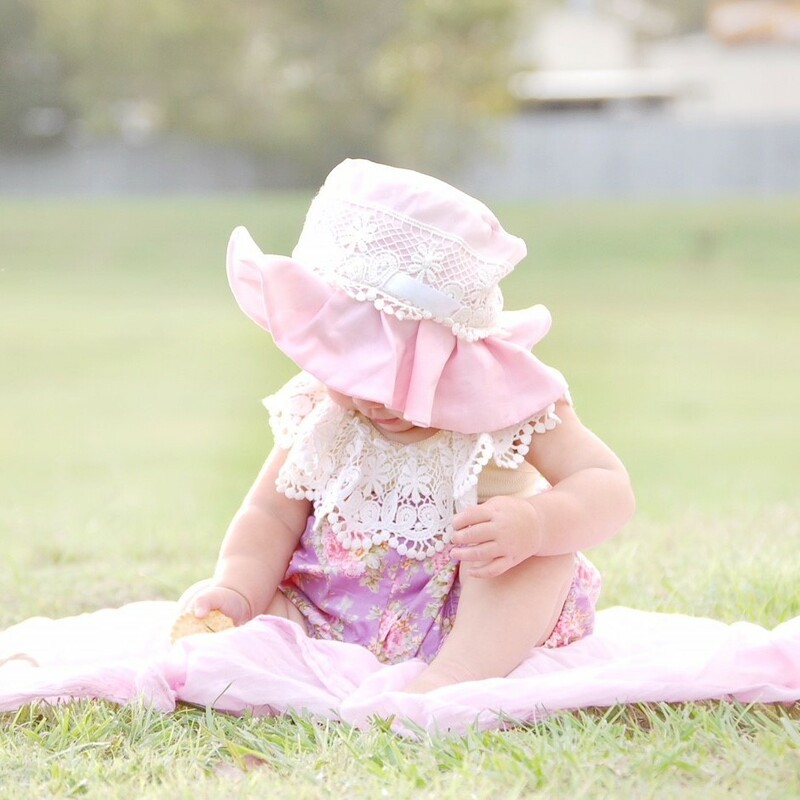 The perfect baby pink Floppy Flower Hat is this one! 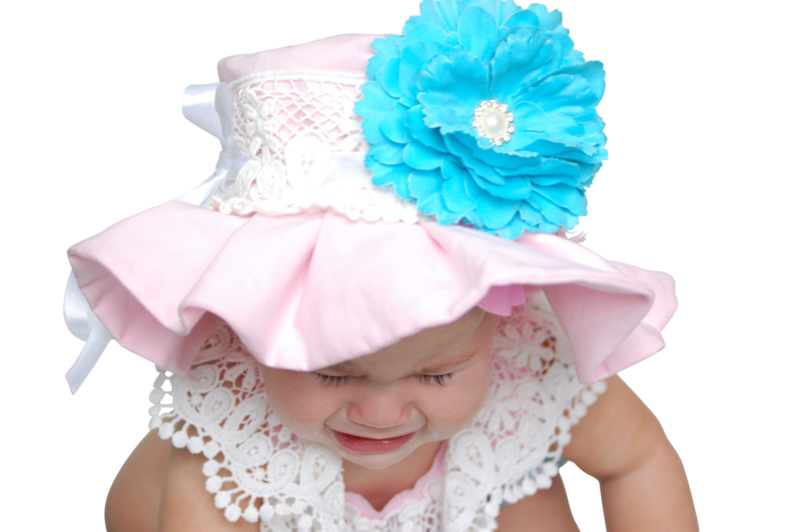 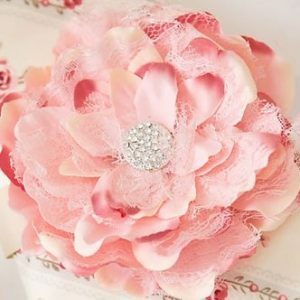 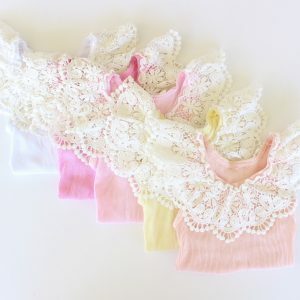 All cotton and cotton lace, machine washable, adjustable for 2 sizes and interchangeable flower colour, you can even wear the brim up or down! 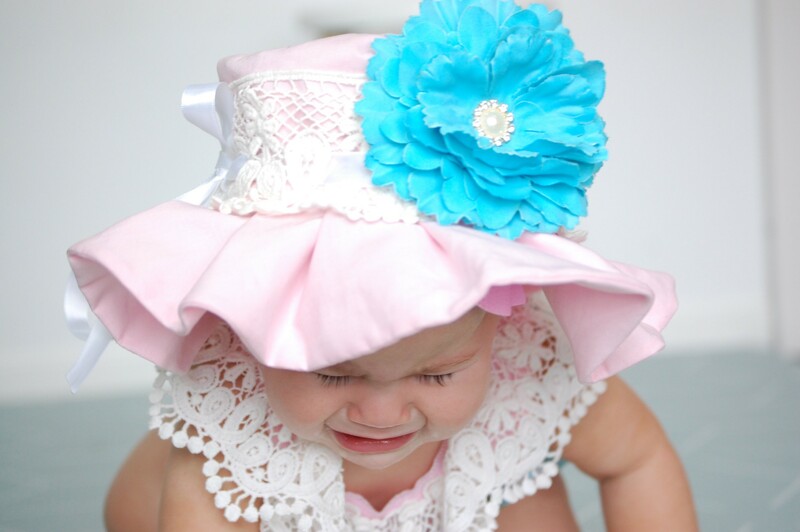 These hats made our little Upsy Bling brand a favourite.